I'm always looking for a way to simplify my life. Anytime I can let the oven do the cooking and not have to stand over a skillet....and still get something yummy out of the deal-count. me. in. I recently saw this recipe at sheldonrachel and gave it a go. Yum. Ingredients: 1/2 c melted butter, 1 c. brown sugar, 1 loaf of Texas toast (thickly sliced bread), 4 eggs, 1 1/2 c. milk, 1 t. vanilla, powdered sugar and maple syrup for topping your toast. Instructions: Add your bown sugar to your melted butter and spread at the bottom of a 9x13 inch pan. Beat your eggs, milk, and vanilla. Lay a single layer of bread in the bottom of your pan (I squeezed in 8 slices). Spoon half of your egg mix over the bread layer. 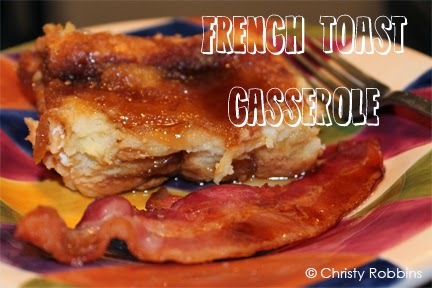 Repeat a second layer of french toast. Spoon over the remaining egg. Cover and chill overnight (or for several hours so the egg soaks into the bread). Bake at 350 for 45 minutes. (Keep it covered for the first 30 minutes and then remove your foil.). Slice into squares, and decorate with powdered sugar and/or maple syrup. I was tasked with putting together some 'snow' themed projects for an upcoming Good Morning, Texas. Here is number one. I actually saw a wreath like this at my friend's house. She said she saw it online somewhere. She used a wire hanger she had pulled down into the shape of a circle. 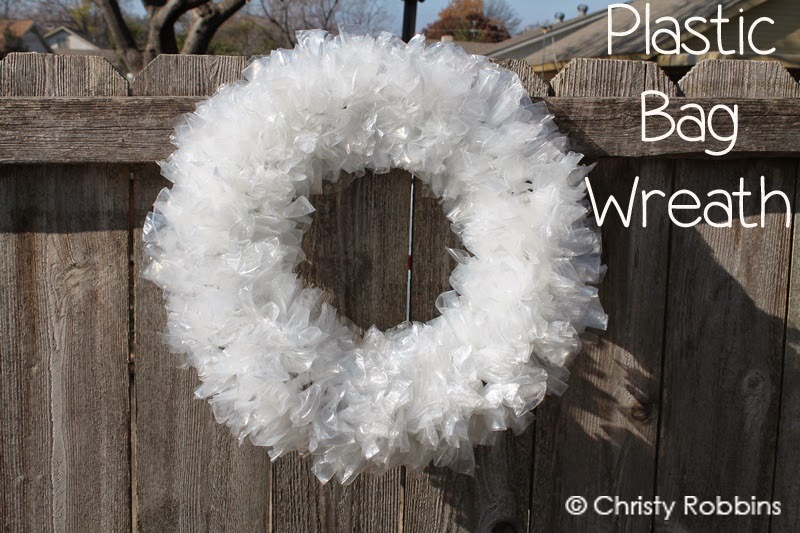 I googled it and found a board with a wreath like this AND a bunch of other things to do with plastic bags. You can cut and use grocery store bags, a large laundry bags, or....I bought a box of 150 bags for a buck at Walmart (the non sealing kind). Instead of a hanger, I also found a wreath frame for a dollar at the Dollar Tree. I squished the bags (I put the open flap on the inside so it was a little shorter this way, but much more even-I tried it both ways and found this looked the best). Then I just went around tying knots. I only tied knots on the inside three rings-I didn't need it as fluffy as four rings for the place it's going to live. It took me about 30 minutes, but it's pretty brainless, goes faster the longer you work, and you can catch up on random TV marathons like Finding Bigfoot or American Pickers. Not too shabby for 2 dollars....and now....bring on the snow-my wreath is ready for 'ya ol' man winter. 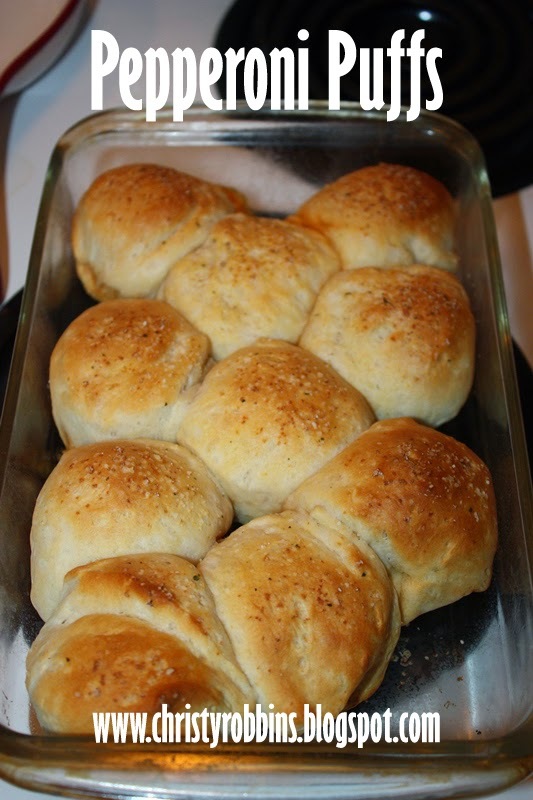 Here's a super easy/last minute appetizer I've stuck together for football watching parties and New Year's Eve. You can never go wrong with pizza. And if pizza is wrong...you need new friends. Ingredients: 1 can junior biscuits, 40 pepperonis, 10 cheese cubes, butter and garlic salt, pizza sauce. Instructions: Pull the top and bottom of the biscuit apart. Place 2 pieces of pepperoni with a cheese cube on top. Place another two slices of pepperoni on top of the cheese cube. Place second biscuit half on top of pepperoni and press the sides. Seal well. Place biscuits in a pan. Place remaining biscuits side by side. Spray or brush with butter and sprinkle with garlic. Bake biscuits according to the time/temp on your biscuit can. Serve with pizza sauce for dipping. 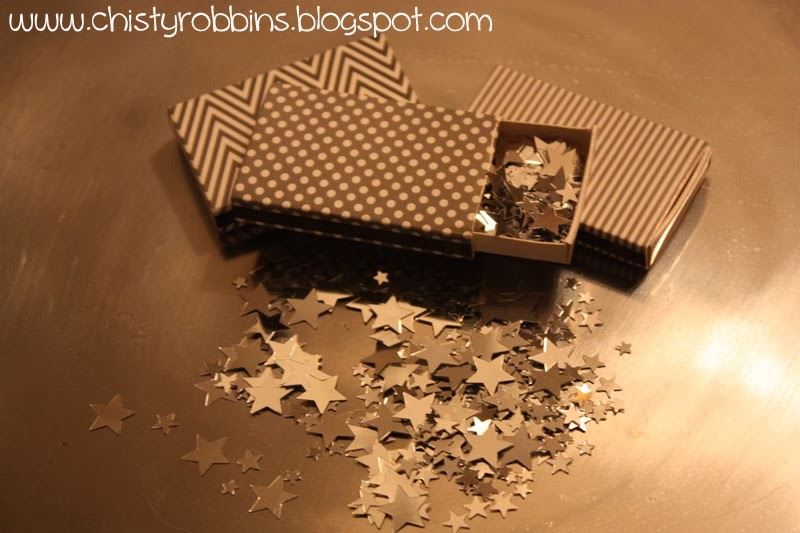 Here's a simple little idea for New Year's Eve-whether you are going out or staying in-a packed up little confetti toss for midnight. They sell little boxes like the above at stores like Hobby Lobby, or you can wrap match boxes in fun scrapbook paper. 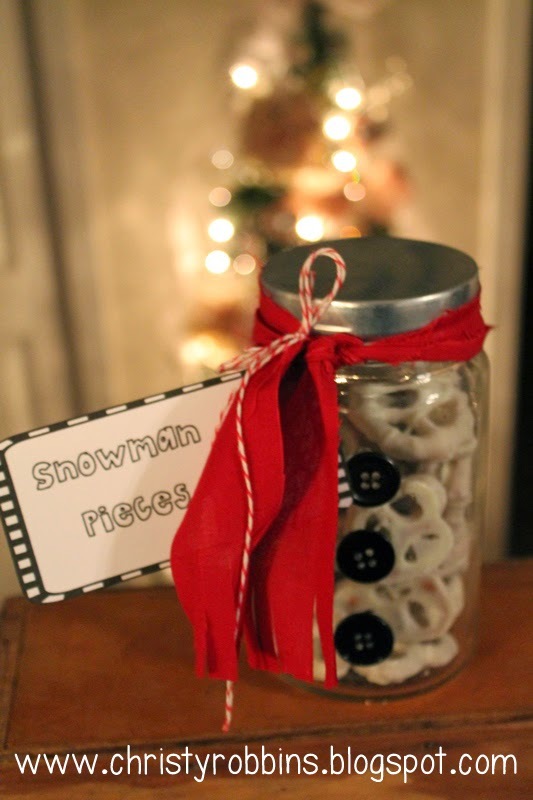 Fill each with confetti and take these along to toss at midnight, or pass these out to guest to celebrate at midnight. I saw this recipe last year via food network. 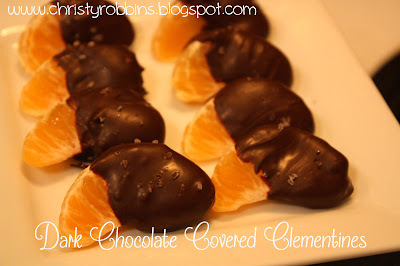 I heart clementines. They are sweet without all that seedy/stringy mess that comes with their big brother, the orange. I puffy heart dark chocolate, so marrying the two was genius. I melted the chocolate, dipped my oranges and added a little sea salt. Salty and sweet oranges. It's a pretty healthy for you 'bad' snack...or so I tell myself. 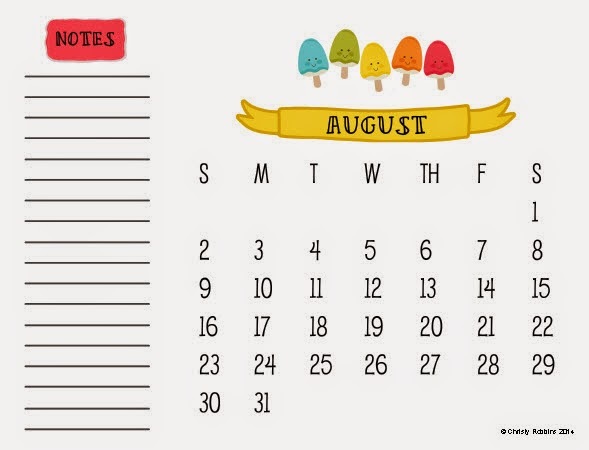 Free to a Good Home: 2015 Calendar Printable!!! My super talented friend, Kelly, made these super precious 2015 calendars for *you. 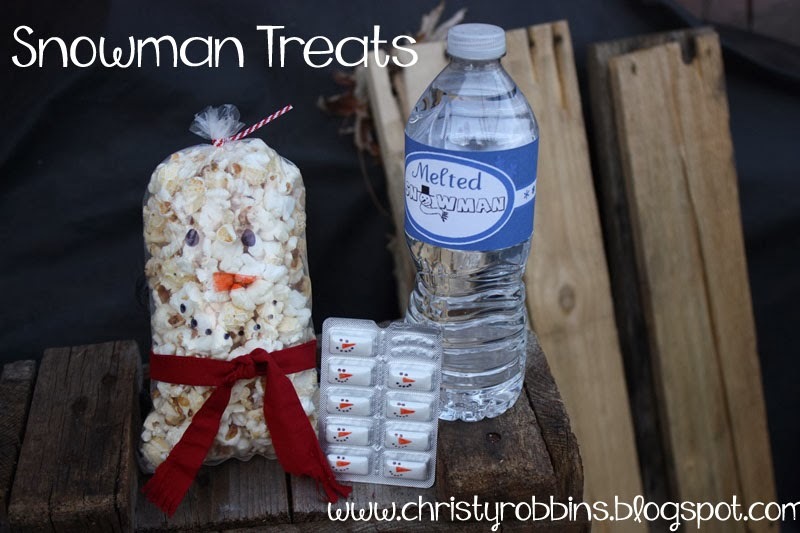 * Because she made them on behalf of all things I love, there is even a precious little list column on the side where you can add special events, a grocery list, or general to do items. HERE is the link to the free printable. 12 months of utter cuteness! Above is just a sampling of what one page looks like! Free, free, free, just because! No thought bubbles necessary. 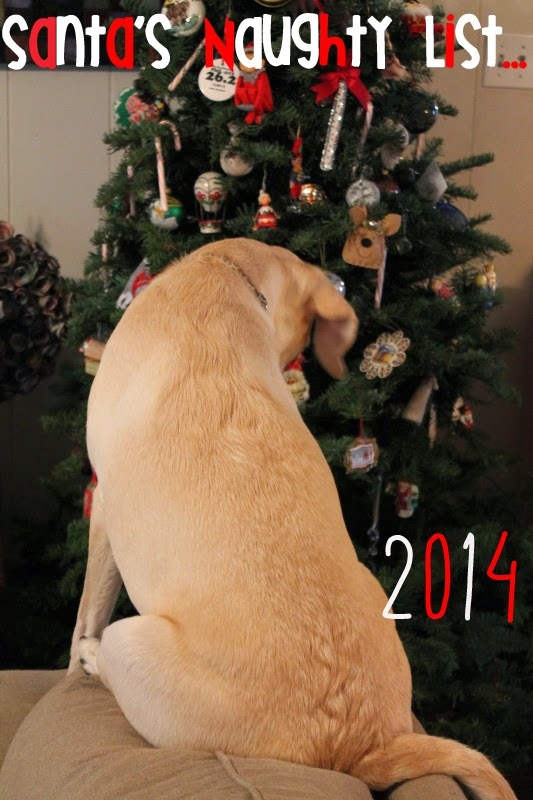 I only put half of my ornaments up....all at the top of the tree, but she wasn't deterred. Last year, the Texas family was blessed with some little California visitors under the age of five. I knew they'd enjoy a few extra details on the table to keep things merry. For Christmas even I filled mini stockings I grabbed at Hobby Lobby with napkins, silverware, and Santa Chocolates. It was a big enough crowd that I had to pull out the long tables formerly used for crafts, and the fancy plastic table clothes. I was exhausted by the time Christmas rolled around, so I bought some cupcakes from Gigi's. THESE were a huge hit. Maybe someday I'll try my hand at piping this, but....for this year....I'm glad someone else did the work. Worth. Every. Penny. These also doubled as my breakfast on Christmas morning. And then I put together a little hot chocolate bar. Instead of marshmallows, I snagged some reindeer peeps....and some of my favorite accessories-whipped cream, chocolate mints, and some Santa straws (from the dollar store) and these little deer cups (from Meri Meri). I know this isn't an original idea. I've seen it all over the net the last few years, but last year it was the perfect gift for my cousin-in-law. Every time she comes into town, we go out to get our nails done. I put together a little something for her to enjoy when we don't get to treat our feet together. The idea isn't new, but I made a free printable to share with anyone in need. Socks, nails polish, files, whatever....who doesn't like to treat their feet? 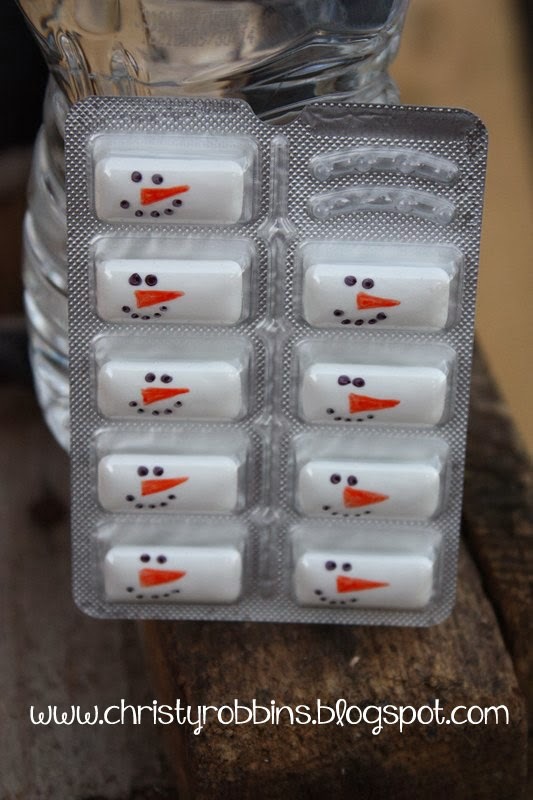 I drew some snowman faces on some gum as well. I got the idea for this on Kerry's blog. 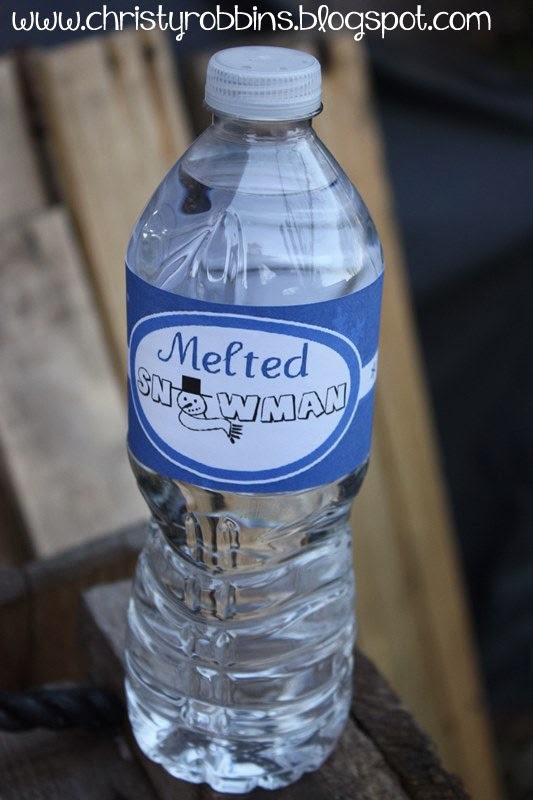 ...and I found a free melted snowman printable here for a water bottle. 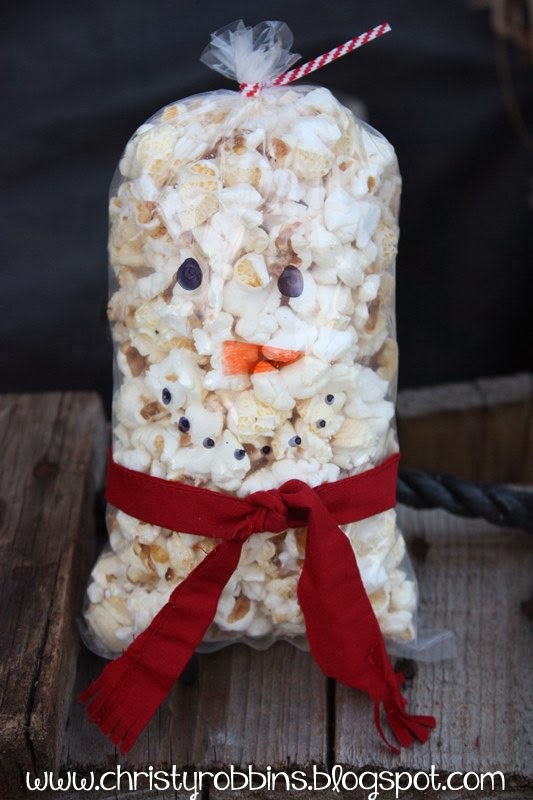 I filled mason jars with popcorn kernels. I also added little jars of oil, and then I bought salt shakers at the dollar tree and filled them with a bunch of different seasonings. I added some popcorn bags I also found there. The popcorn has attached instructions-basically-pop it, add to a bag, drizzle with oil and your choice of seasoning-shake and enjoy. 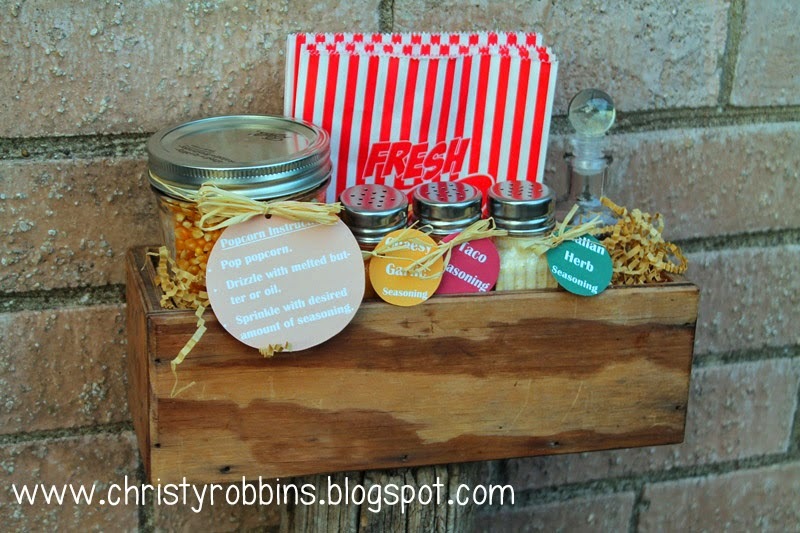 Here is a free printable with the labels and instructions. Taco Seasoning:I bought a package of taco seasoning and just added it to the jar. 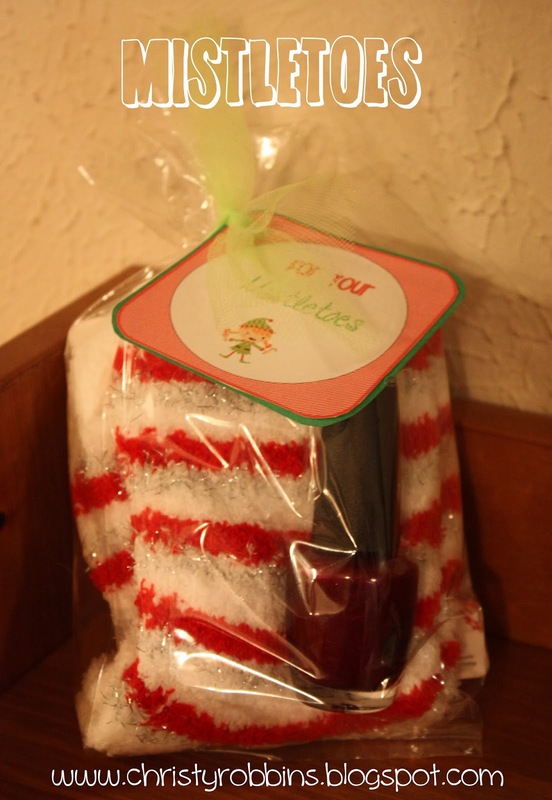 Sometimes you need a cheater Christmas gift. Every year I've got a list of things I plan to put together for people....and then November comes....and December slips in and it's time to give out gives and I'm all out of time to make those gifts. I cheated and made this little jar, which I saw here a few years ago. The innards are white pretzels...which brings up my cheating-I bought them. I found them for a few bucks at the store already dipped and thought-you know....I'm pretty sure mine aren't going to taste 'better', they will just take more time, so I bought them. I think packaging pre-made food in a cute jar makes it OK. I have drizzled them with an alternative color of chocolate before to make them a little more gourmet, but....this year....I'm leaving them snowy white. I also made some tags I'm attaching to these little guys. You can download those here. I took some scraps of fabric and tied them around the lids of my jars and fringed the edge. I glued three buttons down the jar and ta da-frosty's belly is filled and one or three more gifts are knocked off my list. A friend gave me a recipe for cake batter cookies years ago I've made off and on. I've seen these green cookies popping up around the net in honor of the Grinch, so I decided to use her recipe and dye them green. There are several different variations, but this is a recipe I like. The cookies are easy to put together. They turn out really soft and moist. I brought these to my work cookie exhange last year. Instructions: Heath oven to 375. Melt butter and let it cool. With a mixer mix the cake mix, butter and eggs. Add green food dye to desired color. Roll int 1 Table siz balls. Roll each in the powdered sugar and cornstarch mix. 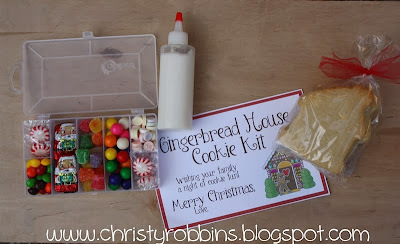 Place on parchment paper covered cookie sheet. Bake for 8-10 minutes. I made these last year for some of my friends who like cake balls. 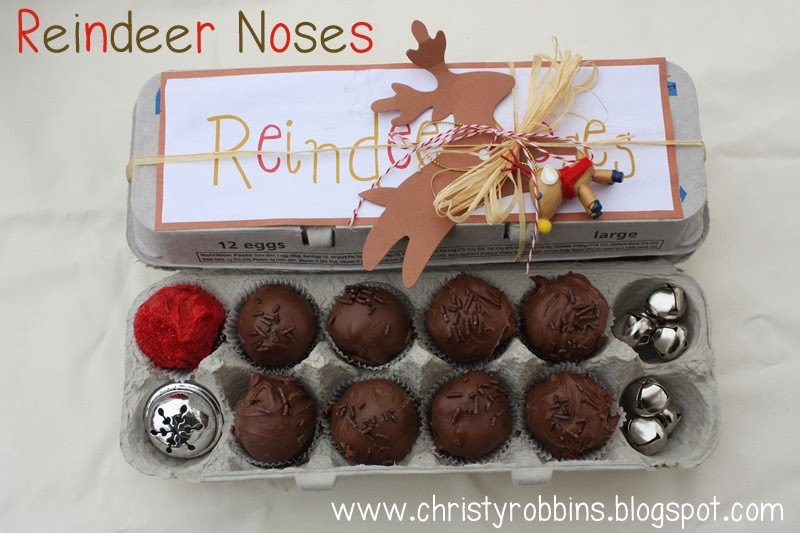 I decided the egg carton was the perfect deliver system for my reindeer noses. There are 12 holes, and everybody knows there are only 9 reindeer, so I filled the other holes with bells. 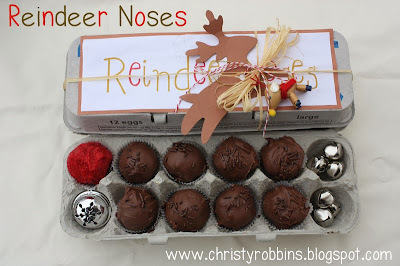 I could have looked for some cute reindeer candy or don't some Santa belly cake balls, but I was iced in on the days I put these together, so....I'm pleased with this. 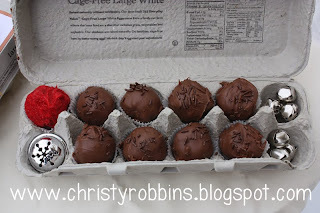 I made cake balls using these simple instructions. I did 8 chocolate with chocolate, and one red. Simple and super fun. I went to GMT today with things that glittered. 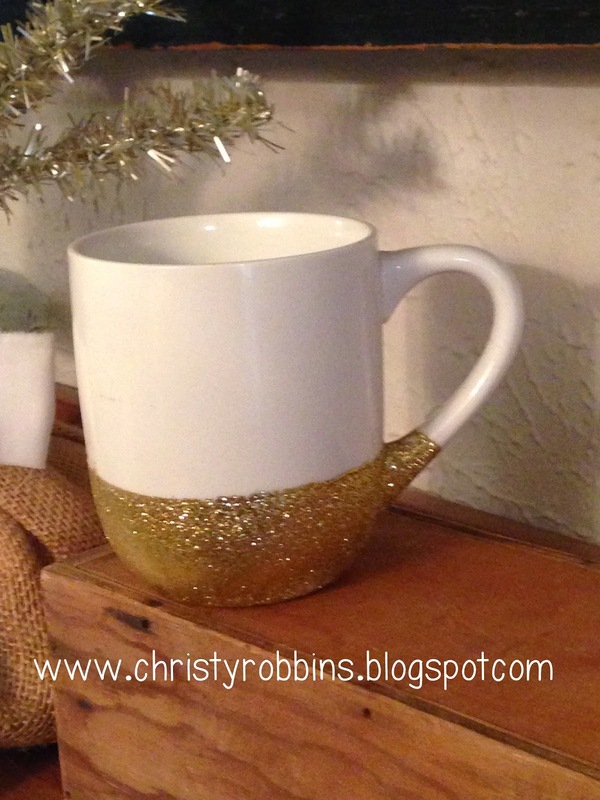 I shared glittered champagne, silver nutcrackers, and this diy glitter mug. The third craft is usually my filler b/c there is nothing scarier that filling dead air, so...I had to rush this one a bit. It's a super simple diy project though. I originally saw one here and was fascinated by the fact that it's dishwasher safe. I found white mugs at Walmart for 88 cents. The only other thing you need is glitter (I really like the finer glitter), and decoupage paint and SEALER (I got the glossy seal). I'm sure they have multiple brands, but I found some at Michael's in the Martha Stewart section and used a coupon.